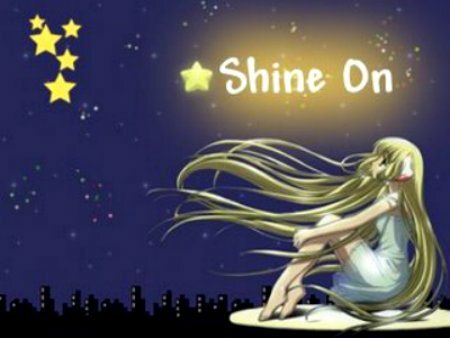 Thanks to Charlotte Carrendar of http://charlottecarrendar.com, I have been nominated for the Shine on Award! Being my first Blog award, I am more than grateful for this wonderful opportunity. I would like to take this chance to formally thank my followers that I have accumulated so far. Getting your comments and receiving your feedback every week really makes me enjoy what I do even more! Nonetheless, with great power comes great responsibility. 5. Notify those bloggers of the nomination and the award requirements. perhaps the female version of Ryan Seacrest lol! 2. When taken on a date, I’d rather go to see a Horror/Action movie than a Romance! 4. I went to boarding school for high school….and NO i wasn’t a problem child and my mother does love me! 5. My favorite color has been blue all my life, I actually really dislike the color Pink..it’s my nemisis. 6. I’ve probably seen the Star Wars Franchise more times than George Lucas himself, just kidding, but I’m a big fan of the films.